Paudie O’Connor has returned to Leeds United with a glowing reference from Terry McPhillips, who has admitted that the defender has been unfortunate not to feature more for Blackpool on loan. Leeds have cut O’Connor’s loan spell at Bloomfield Road short, with the League One club recently confirming that the 21-year-old would be heading back to Elland Road. The centre-back had made 17 appearances across all competitions during the first-half of the season, but only 10 of those came in League One, with O’Connor not featuring as regularly as expected. McPhillips, 50, has been full of praise for his former loan man, admitting to the Blackpool Gazette that O’Connor was unlucky not to feature more: “Paudie has been really unlucky not to play more games with us. “He’s been a very popular lad and has always put in strong and committed performances whenever called upon. 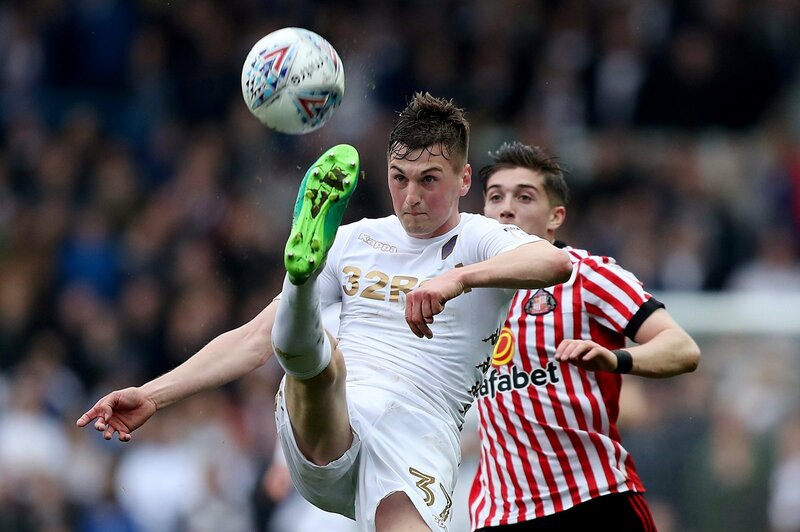 According to the Yorkshire Evening Post, Leeds will now allow O’Connor to move on loan again, this time across West Yorkshire to link up with Bradford City. David Hopkin’s side are in the same division as Blackpool, but whilst McPhillips’ side are in mid-table, the Bantams are fighting at the foot of the table. It’s expected that Bradford will offer O’Connor more game time to aid his development. So far, O’Connor has made four Championship appearances for Leeds, which all came under Paul Heckingbottom. O’Connor was clearly a popular part of Blackpool’s squad, but he wasn’t getting the game time needed to properly aid his development. It seems that Blackpool are understanding and Leeds will now hope that Bradford give him 15+ more games from here. Leeds will be desperate to see the physical defender develop at Valley Parade.